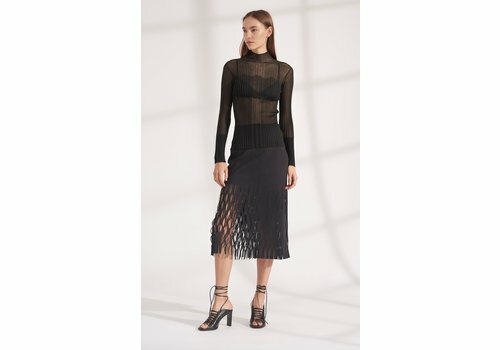 The Net Pleat Skirt from Dion Lee is a high waisted, A-line skirt with mesh pleated hemline. 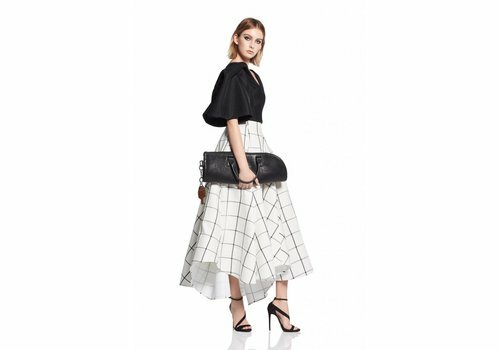 Rendered in a monochromatic grid pattern fabrication the Promising Skirt features a high-rise wide waistband with a darted full and voluminous swing midi-skirt. Draped panels in the back of the skirt provide added volume. High-waisted black patent mid-length pencil skirt from Georgia Alice that comes fully lined with vent at center back, two pockets and back split. Silver metallic bias cut skirt from Georgia Alice in silk lame featuring high waist, invisible zip and subtle fluted hem. Bias cut skirt from Georgia Alice with invisible zip and subtle fluted hem that elegantly shapes the body. As seen on the Fall 18 Runway, the Triangle Perf Skirt from Dion Lee is a midi skirt in signature triple bonded Italian jersey. 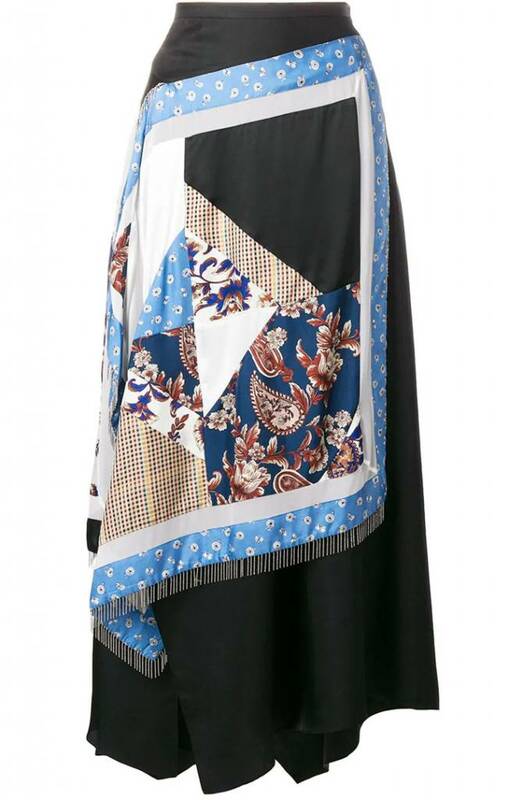 Features digital machine cut perforation that extends from the base of the skirt in a triangular shape to mid thigh. 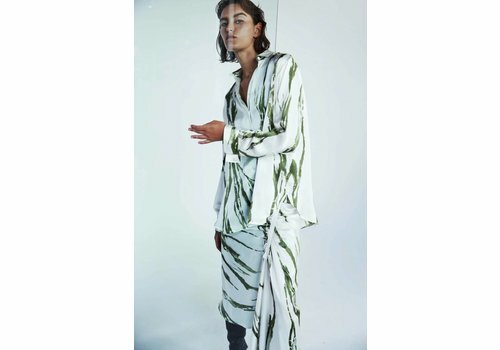 The Incline Taped Skirt from Christopher Esber is constructed in fluid silk satin, featuring an exclusive Alpine print, ruched detail with grograin accents through body and invisible center back zipper. 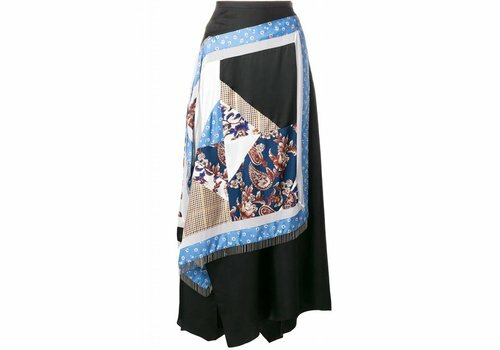 This multicolor silk blend patchwork skirt features a high rise, a concealed side zip fastening, a long length, a patchwork design, an asymmetric hem and fringe details. 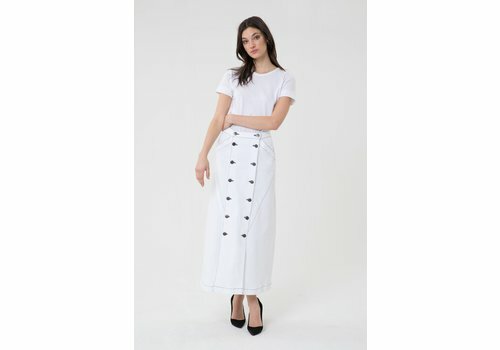 Featuring no fastenings, two draped pieces that fall over the front and back waistline of the skirt and a high side split, the Duality Mid Skirt can be tied around the waist or hip for a flattering finish that suits your shape. 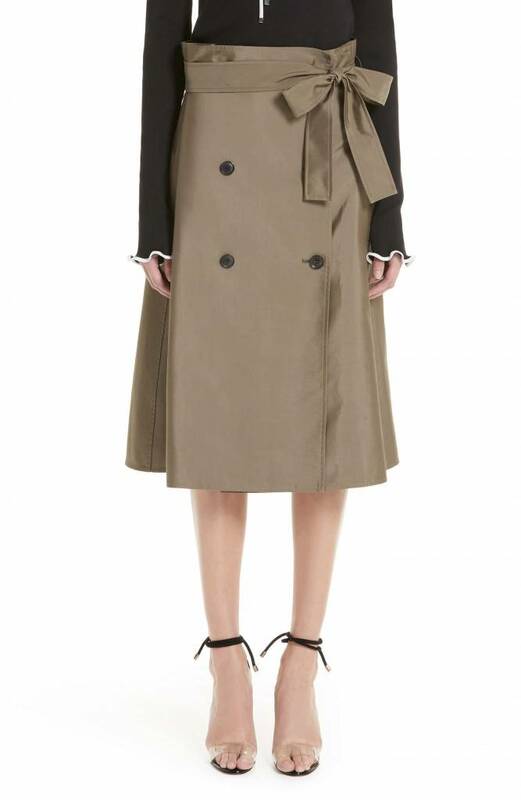 Inspired by classic trench-coat design, this smart skirt features double lines of buttons and a high, belted paper-bag waist. 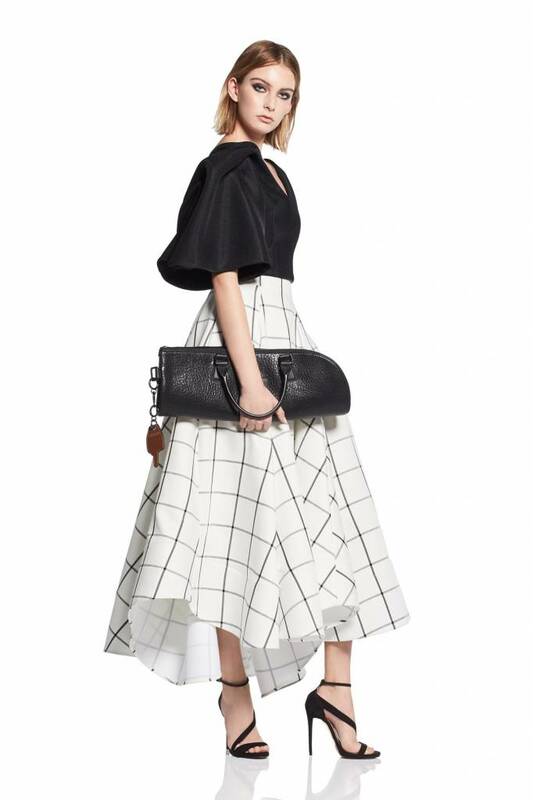 The Opacity Pleat Skirt from Dion Lee is a solid and sheer panelled midi skirt with pleated stretch fabrication. The high waisted, fitted body features contrasting sheer and opaque section that hit at mid calf. 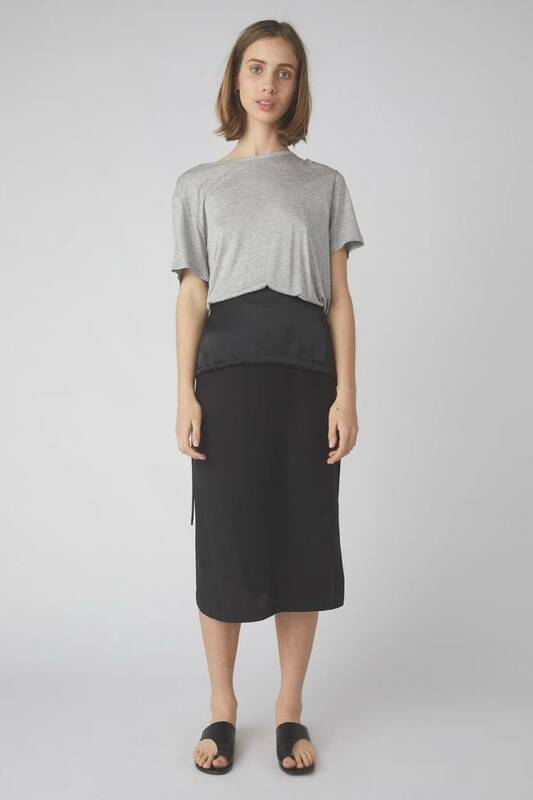 The Shadow Perf Skirt from Dion Lee is a mid waisted, fitted midi skirt in signature triple bonded jersey. This silhouette features digital cut perforations from mid thigh to hem that create a shadow effect that flows with the body. Cotton blend maxi skirt with slits at the front and back. 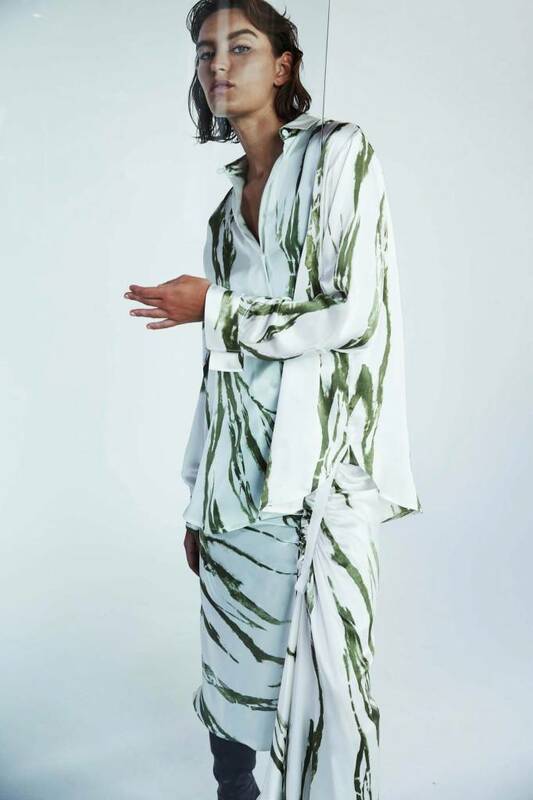 Features a high waist, a long length and vertical panels. 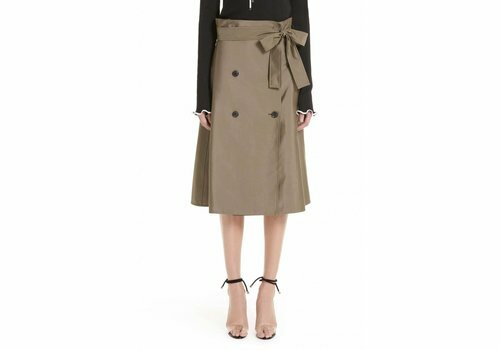 The Ink Level Button Split Skirt is cut from a woven in a twill finish, featuring a front wrap and liquid filled glass buttons.